The Accessories Design label S O Ü F is built upon a genuine love for design and heritage. Founder & Designer Sofia Avila harmonizes modern ideas with inspirations brought from her childhood & the culture of her native country El Salvador. She also draws from the different cultures she has encountered in her travels, and personal experiences living abroad. Combining raw materials such as reclaimed wood, metals, and natural stones in her designs has led to both a unique point of view and a streak of casual elegance to the collection. Sofia has a degree in Art Direction & Advertising from the Istituto Europeo di Design in Barcelona, where she finished her studies after living in Boston & Florence, Italy. It was in Florence where she first explored her interests in Jewelry Design at Alchimia University. After returning to El Salvador, she began making jewelry and realized her true passion was in creating, so she pursued this passion at Parsons The New School in New York City, where she graduated from Fashion Design. After Parsons, she continued to intern with designer Rosie Assoulin, who became a mayor influence & inspiration, then briefly worked at Elie Tahari, deciding it was time to take a leap of faith and venture out on her own. It was here that S O Ü F was born. Each piece in our collection is completely unique and hand made with love by artisans based in different parts of El Salvador. This collaboration between Sofia and small independent business owners & artists is part of SOÜF’s vision in genuinely giving back to the local community: over 20 talented people are in some way involved in producing our exclusive & unique pieces. The reclaimed wood used in our handbags is sourced from antique columns and pillars in Salvadoran colonial houses that are torn down. Every piece of wood is over 100 years old, and is repurposed into SOÜF handbags, making them sustainable and filled with stories from the past. Amadeo Medrano and his vast experience with woodwork, combined with a very skillful team of craftsmen, both aid in the creation of SOÜF’s exquisite wooden handbags. Nelson Mejía sources our leather locally in El Salvador and produces our impeccable leather goods with his small team. 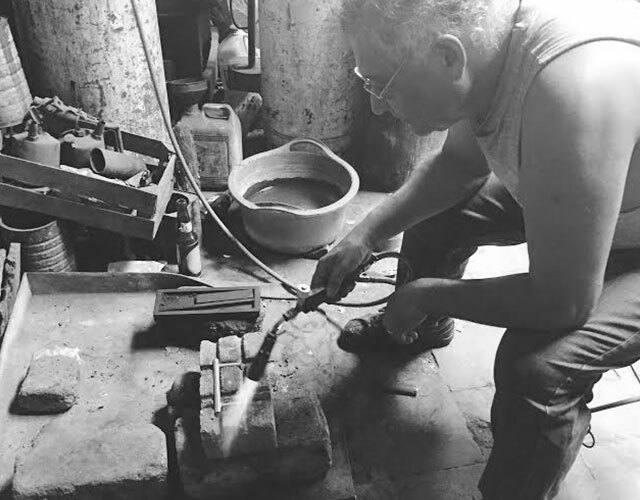 The handles & hardware for the collection are created with the help of talented Salvadoran jeweler, Carlos Rauda, with whom Sofia has been collaborating on personal pieces since she was a teenager. 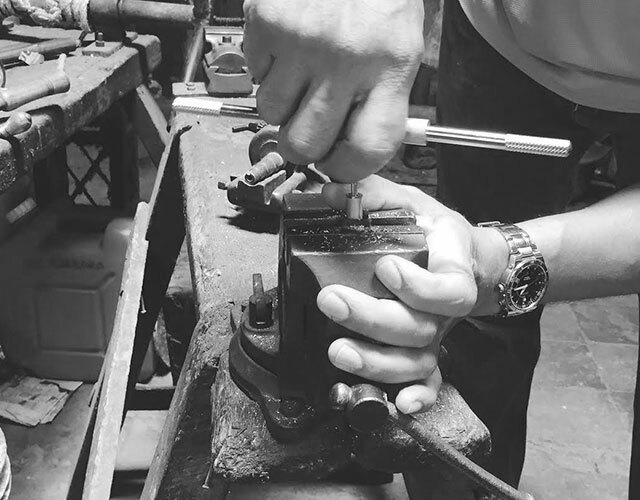 Our handles are individually handcrafted in aim to preserve the traditional artisan techniques that have been passed from generation to generation in Carlos’s family. 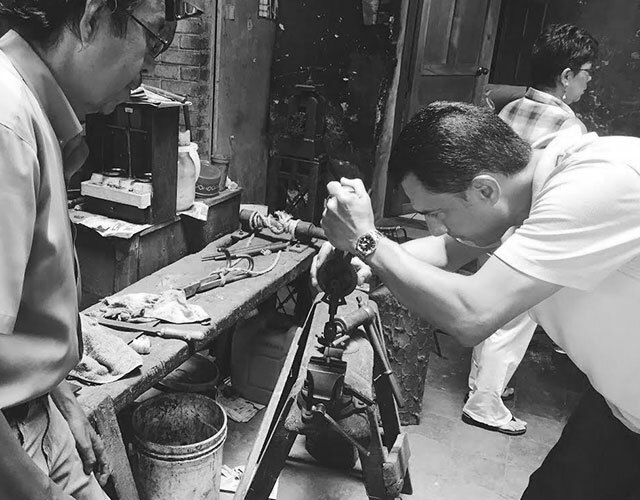 His grandfather established the workshop where our team currently works in the early 1920s. The semi precious stones that adorn your handle are cut by expert gemologists in New York City, and simply add to the magic and power of your bag. 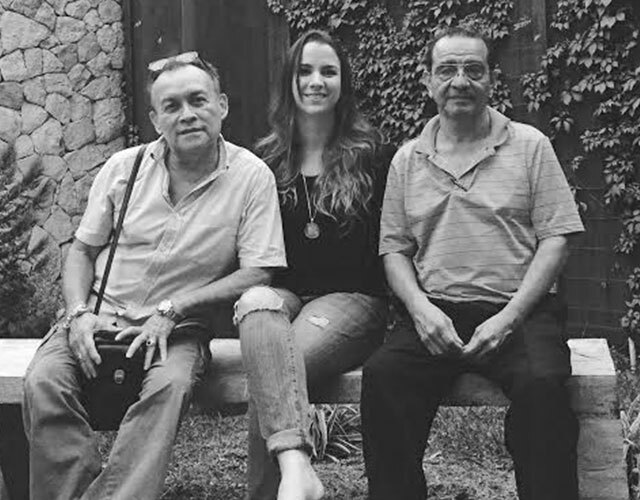 Building and maintaining close collaborative relationships is extremely important to the SOÜF brand, and promoting the skills of Salvadoran artisans is a mission very dear to Sofia’s heart.